Anyone who works in child protection will tell you that one of the worst aspects of the job is having to take a youngster from its mother’s arms, possibly for ever. It is heart-breaking enough, even when you are 100 per cent sure that being taken into care is the best thing for that child. But what if you are forcibly removing a child from a mother you believe to be a good and caring parent? Keira Roberts never imagined that she would find herself in such a position when she accepted a job with an eminent psychiatrist who specialised in helping local authorities identify dangerous or neglectful parents. 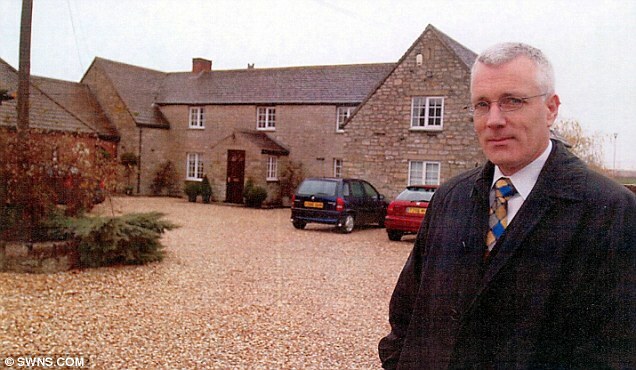 Dr George Hibbert was regarded as one of country’s leading experts on child abuse, had lectured at Oxford and had advised MPs on the family courts system. When Keira agreed to work for him, it was at one of his Family Assessment Centres — places where families who had come to the attention of social services departments were referred. They were placed under round-the-clock observation while it was determined what should happen next. It was a very intrusive set-up, but Keira assumed that Dr Hibbert — who was highly trusted (and very well paid) by a string of local authorities — knew what he was doing. And in the wake of the Baby P scandal, she understood how important it was for any concerns about parental abuse to be acted on. But protecting children is one thing. Ripping families apart — apparently for little reason — is another. Yet this is what Keira claims Dr Hibbert did, and on a scale that is staggering. Alarm bells first started ringing when she felt Dr Hibbert wanted his staff to concentrate on recording only the negative aspects of what they observed. And she became dismayed when the parents were set bizarre and, she felt, unfair tasks, to assess how they coped. She watched one young mum struggle to vacuum the stairs while carrying a baby. Another was sent off to the supermarket with her child in tow to grapple alone with a huge shop for 14 people. But her bemusement at Dr Hibbert’s methods turned to horror when she realised that when parents ‘failed’ to complete these tasks to Dr Hibbert’s high (or ‘impossible’, as she puts it) standards, it counted against them and their children were being taken. And what haunts her is that she was sometimes the one doing the forcible removal of the children. The case that still keeps her awake at night involved a young mother called Anna — a woman Keira had been observing for 14 weeks, and considered a good mother. She had come from a difficult background, but there was no evidence that she was abusive or neglectful towards her child. Indeed, Keira was impressed with what a good job she did of caring for her baby. Yet at five o’clock one morning when she was working at the assessment centre, Keira was confronted by a sobbing Anna. She was cradling her baby, rocking from side to side and weeping uncontrollably, and begging for Keira’s help. Eventually, Keira was the one who had to take the baby from her arms. ‘It was the worst thing I have ever had to do,’ she says. But Anna wasn’t an isolated case. Quite how routinely babies were removed from their parents as a result of Dr Hibbert’s practices is not yet known. But Keira was not the only one to fear that her boss was abusing his powers. Earlier this year, Dr Hibbert offered to surrender his doctor’s licence when the General Medical Council launched an investigation over accusations that he had deliberately misdiagnosed mothers as suffering from mental disorders to fit in with the view of social services. The GMC refused to accept Dr Hibbert’s offer, and is investigating his fitness to practise. This is the first time a member of his staff has come forward to talk about what they say went on inside one of his assessment centres. Keira spent over a year working for Dr Hibbert at Windmill House, Swindon. Her account — given on the condition we protect her identity — paints a horrifying picture of the lives of the parents he told the family courts were ‘unfit’ to look after their children. How many families were ripped apart by Dr Hibbert is not known, but Keira confirms there must be ‘many’. Between four and eight families would live at Windmill House at any one time, with Keira and her colleagues watching them 24 hours a day, scrutinising their every interaction with their babies. Even at night, Keira claims, staff listened in to their parenting — and, in the case of couples, their intimate conversations — using baby monitors. She says mothers were not even allowed to breastfeed in private. ‘I always felt it was very intrusive,’ Keira says. Perhaps such intrusion could have been justified had honest observations about the parents’ interaction with their children been made. Keira says things started in a balanced way, with staff being told to write, in the margins of their copious notes, a small ‘G’ for good parenting, ‘B’ for bad or ‘R’ for routine. But later, she says, they understood they should write down only the bad aspects of parenting they observed. Staff were horrified, believing this was going to give a ‘skewed view’. Another of Dr Hibbert’s methods was to set the parents bizarre tasks, such as changing a car tyre while caring for a child. Incredibly, though, the mothers would often succeed against all odds. ‘They were so desperate to pass,’ Keira recalls quietly. While she and her colleagues had to watch the parents round the clock, Keira claims Dr Hibbert was rarely at Windmill House. 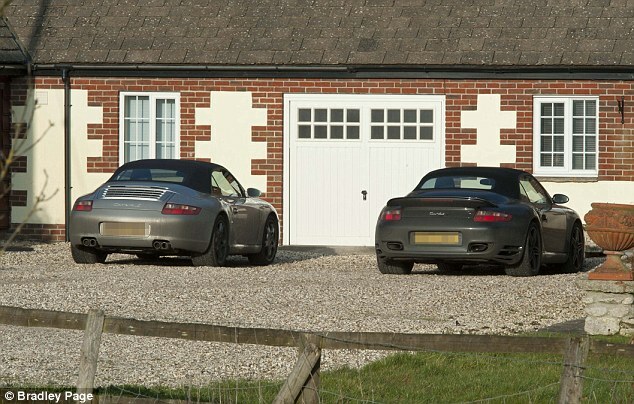 Staff would occasionally see him driving in and out of the car park in one of his two Porsches — one black, one silver — or popping into the office to pick up one of his designer suits, which staff would have dry-cleaned. But Keira claims she ‘never’ saw the psychiatrist actually observing parents with their children before he wrote his reports for the family courts — which would be extraordinary if this was always the case considering this was a man charging the taxpayer thousands for an ‘intensive and multi-faceted assessment’ of a mother over 12 weeks. Dr Hibbert accepted he limited his direct interactions with parents because of the powerful effects he believed that could have. Yet few would have suspected how little he seems to have observed people parenting their children. Not only that, the sums Dr Hibbert charged for his family assessments are staggering. The courts were paying him thousands of pounds a week for his opinion. Each parent and child at the unit earned him £4,100 per week. This rose to £6,150 per week for a couple and a baby, or £8,200 for a couple with two children. At one point in 2010, when he had 11 residents in the centre at one time, Dr Hibbert was raking in more than £40,000 a week — plus the £210 he charged for every hour he had to read the parents’ paperwork. His bill was split between local authorities, the child’s legal representative and the parents’ legally-aided solicitor. Public money in other words. Despite their huge costs, Dr Hibbert’s assessments appear to have relied to a great extent on notes made by his staff — some as young as 19. Keira insists Dr Hibbert usually saw parents for no more than 20 minutes per week. The workers — who were paid a starting salary of £16,500 a year — were left to observe the parenting for him. With parents paying for their own food, and made to do all the cooking and cleaning themselves, workers often commented that Dr Hibbert ‘must be raking it in’ from his family assessment centre. Yet this was just one of his many lucrative sidelines. 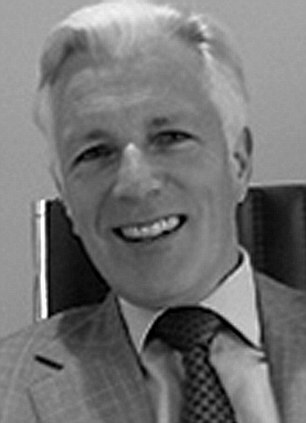 He also made a fortune attending court as an expert witness — which he charged an eye-watering £1,800 per day. Incredibly, he even invoiced £105 per hour just for the time he spent travelling to and from court — plus 45p per mile for petrol. ‘I don’t know how often he went to court, but it was about once a month,’ Keira remembers. He was not, Keira says, a caring employer. She claims he was subject to ‘foul moods’ and prone to ‘stomping about’ if he as angry. She describes him as an ‘intimidating presence’. In the year she worked at the centre, a number of staff resigned over what Keira believes were concerns about Dr Hibbert. Others, she felt, were criticised ‘for nothing’. One young father was accused of having ‘paedophilic tendencies’ after staff observed him lying on the floor with his daughter watching television. Another was said to have an ‘intrusive’ parenting style because he liked to tickle his baby daughter — something Keira says the baby ‘absolutely loved’. But the patients couldn’t win. Her final clash with Dr Hibbert came when she observed a meeting he held with a woman who was describing how she had once been raped. In early 2010, Dr Hibbert opened an extra four rooms in his assessment centre. But then just a few months after this extra building — known as The Annexe — was opened, he abruptly shut the entire assessment centre down. Staff were told that business from local authorities was drying up due to the economic climate, and that they would all be losing their jobs. It was only later that Keira discovered what she believes is the real reason the centre shut so abruptly: her former employer was facing an investigation by the General Medical Council. A young mother had claimed he deliberately misdiagnosed her with bipolar disorder — a decision which resulted in her losing her son. Last night, a spokesman for Dr Hibbert said: ‘The Medical Protection Society, on behalf of Dr Hibbert, confirm there have been no findings made against Dr Hibbert by the General Medical Council or any other body. As for Keira, she says she wants to go to the GMC to tell her story. I’m glad that Keira is speaking out about this horrid situation. I hope in the future that social services workers will stand up and refused to take children from non-abusive homes.